Outsourcing has become a very common term amongst companies these days. You can hear people outsourcing their data entry work, website creation jobs, web scraping jobs and on goes the list. This trend has been starting to get really popular and it will most probably be the same in the 2014 as well. What are the views of many companies who outsource their IT projects to IT Outsourcing companies? Why do they even outsource their work? Let’s know more about these topics. When a company starts to outsource their IT projects they will no longer have to go through the whole employee hiring process, buying the necessary equipments and many other hassles. They will just have to pay the outsourcing company when they require some job to be done. After the job is finished the payment will stop as well. It is much better than hiring an IT related employees and pay them even when there is no serious IT work to be done. Thus it can be said that outsourcing can be effective to save your company’s finance. Many companies might think that they can master all kinds of works be it administration, finance, IT jobs and so on. It might come out as harsh thing to say, but not everyone can master all kinds of works that are out there. The 2014 year may see rise to many new companies and it is very important for those companies to know that they should focus on what they are good at. 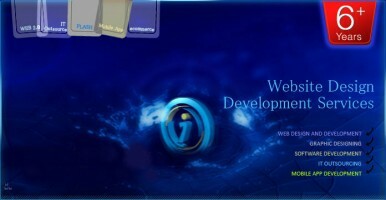 If they are not good at designing websites then they should not hesitate to search for outsourcing web design services. So, you should focus on the company’s main aim and goals and leave the works that you cannot do to an outsourcing company. Companies cannot accumulate all kinds of resources that are out there. They can’t have all IT resources, finance resources and other resources that are important for company’s daily operation. But, the professional outsourcing companies have these resources readily available because they need to be prepared to work in their field. After all, they need to work for and satisfy many clients. Besides that, these companies train their staffs to use the resources effectively and efficiently as well. For example, if you do not have the hosting capability or required skill for designing your own website then you can simply look to outsource web design services. It is true that outsourcing can reduce costs and bring expertise in that certain work, but that does not mean you should go on and outsource all your works. There are some works that can be outsourced whereas there are some works that is not worth outsourcing. That is why many companies have been outsourcing their IT projects to IT outsourcing company.